Online Training – Join our Network! WE ARE INTERNATIONAL AND LOCAL! 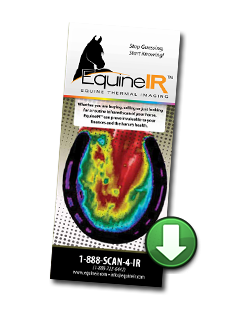 Whether you are buying, selling or would like to perform a routine diagnostic of a horse, EquineIR™ is valuable for your horse’s health and your finances. The saddle confirms a shift from right to left, and substantially more contact pressure on the right side horizontal pattern and flap. 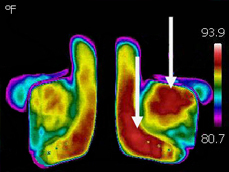 Thermal Imaging interpretations provided by www.interpretir.com. Click to fill out a request form, or call 888-SCAN-4-IR now! Now collecting interest list for Live class to be held in 2017. 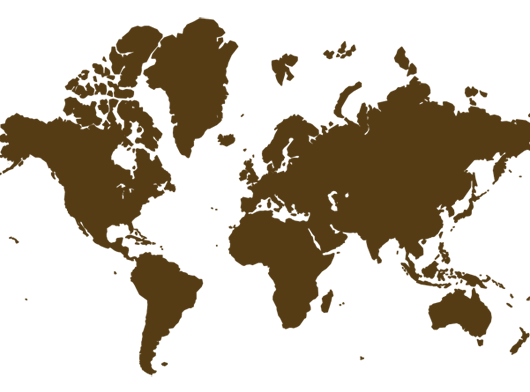 Note: Although our online training has been available for some time, we have had several requests for a live class and we are looking to do just that. Use the form below to let us know you are interested. 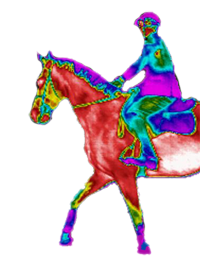 Equine Infrared Imaging "Saving Lives"
Interested in learning more about the benefits of Equine Thermal Imaging?